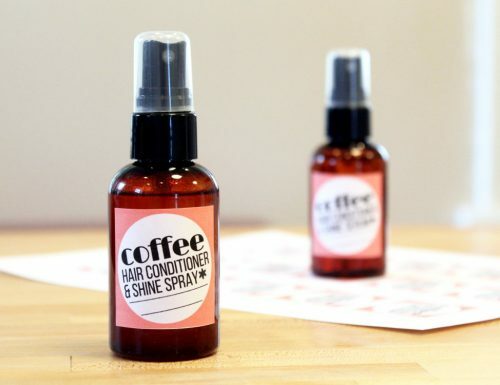 Love your locks with these leave in coffee hair conditioner & shine spray recipes! Formulated for dry or damaged hair, both of these recipes both utilize the power of camellia seed oil and babassu oil. Both of these oils have similar properties in hair and skin care as coconut oil making them especially suited for those sensitive to or allergic to coconut oil. Like fractionated coconut oil, camellia seed oil is liquid at room temperature and has a long shelf life – two years! One of the best kept secrets in the cosmetic and hair care industry, this carrier oil has been shown to improve the tone and texture of skin as well as reduce the appearance of aging. It’s a highly hydrating oil, however, it’s quickly and easily absorbed by the skin – much in the same way fractionated coconut oil is – and leaves skin feeling silky smooth, not greasy. In addition, it’s been traditionally used as both a hair conditioner as well as a treatment to strengthen brittle nails for centuries. Camellia seed oil won’t dry out skin or clog pores, yet it contains more oleic acid than olive oil. It also contains vitamins, A, B, and E, various minerals and Squalene. As it’s been shown that a deficiency of squalene can lead to dry skin and premature aging, this constituent makes camellia seed oil a valuable ingredient in anti-aging skin care recipes. Suitable for all skin types, including sensitive skin, this oil soothes and calms easily irritated skin and helps to smooth dry, flaky skin. Regular use of camellia oil can help to protect skin from age spots as well as soften wrinkles and fine lines around your eyes and mouth. It also offers some protection from UV rays. Babassu oil also has similar properties to regular coconut oil. It is a semi-solid at room temperature with a melting point around body temperature – slightly higher than coconut oil’s 76°F. It’s increasingly being used as a substitute for coconut oil and is liked for it’s benefits for both oily and dry skin. It won’t leave skin feeling oily or greasy when used in skin and hair care products and it’s a gentle natural moisturizer that won’t strip hair’s natural oils. In addition babassu oil contains a high amount of skin beneficial fatty acids including lauric, stearic, myristic, palmitic and oleic acid. It’s also rich in vitamin E, a natural antioxidant, and has anti-inflammatory properties. It’s great for an itchy scalp, dry skin and hair. In hair care, it conditions and helps restore hair’s elasticity and health. The shelf life for babassu oil, properly stored, is also two years. Got it? Awesome! 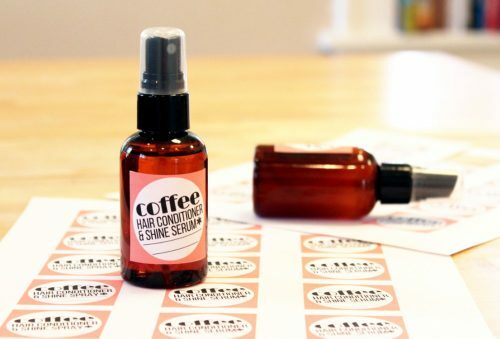 So I know everyone has their own preferences for the hair and skin care products they make, so I created two versions of my leave in coffee hair conditioner & shine spray. 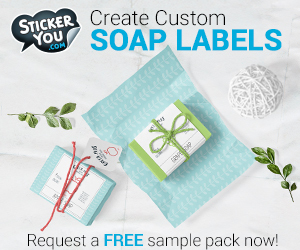 One contains cyclomethicone – a popular synthetic silicone used in hair and skin care products to make them sprayable as well as to improve oil absorption – and one does not. Cyclomethicone is often used in skin care formulations so they feel smooth and silky whereas without this ingredient they may feel greasy. The alternate recipe is slightly different. It doesn’t contain cyclomethicone, so it’s completely natural, but does contain a slightly different ratio of ingredients so it will still work in a spray bottle if desired. Alternately, you can also use the non-cyclomethicone version in a glass amber bottle with a dropper. Ready to get started? 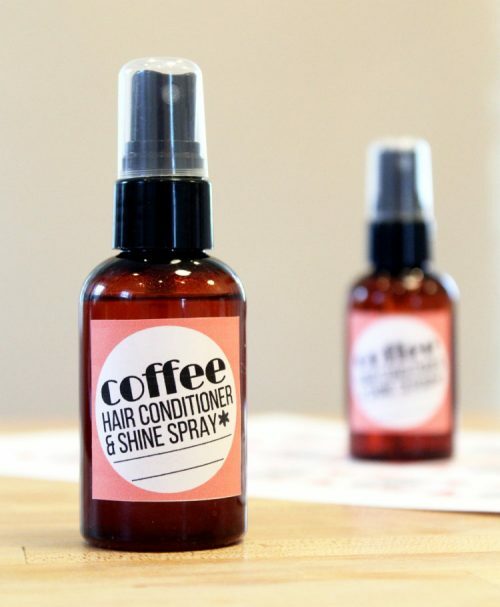 Just pick your favorite leave in coffee hair conditioner & shine spray recipe below. If necessary, place your container of babassu oil into a bowl of hot water to melt. Then, using a digital scale, weigh out the oils and cyclomethicone and combine in a glass Pyrex measuring cup or similar. Add 24 drops of coffee essential oil (or less if desired) and mix well. Use a small funnel to pour into a 2 oz. bottle. I used a 2 oz. amber PET Boston round bottle with a smooth black fine mist sprayer. You can find the same bottles with sprayers that I used at SKS Bottle & Packaging. 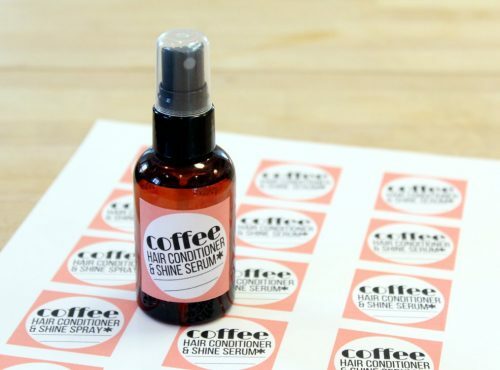 To use lightly spray one or two pumps of your leave in coffee hair conditioner & shine spray onto wet hair depending on length and massage into hair, scalp, and ends. Alternately you can spray one or two pumps into your palm and apply to hair, ends first, working your up. To add shine to a completed style, lightly mist onto dry, styled hair. This product will hydrate dry hair, add shine and smooth frizz for healthy looking hair. If your hair isn’t dry or damaged and you instead want to control light frizz or add shine, I recommend storing this conditioner in a bottle with a dropper instead. Rub one to two drops onto the palms of your hands then scrunch the ends of your hair before then lightly smoothing your hands over the rest of your hair. And, yes! 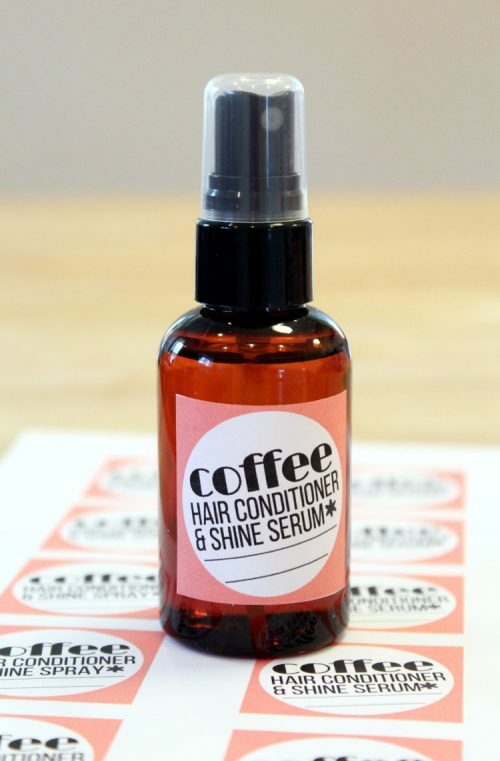 Your hair will smell like coffee. If you want to smell less like coffee – which increases circulation and therefore believed to stimulate hair growth – then use less coffee essential oil. Alternately try combining 12 drops of coffee essential oil with 6-12 drops of cocoa absolute or even a cocoa vanilla absolute blend for a little bit of heaven. Then, using a digital scale, weigh out the oils and and combine in a glass Pyrex measuring cup or similar. Use a small funnel to pour into a 2 oz. amber PET Boston round bottle with a smooth black fine mist sprayer. Follow the same useage guidelines as the above recipe. And, also be sure to try this as a body oil as well! It’s to die for!